Teachers are on the front lines -- they must be supported and listened to. 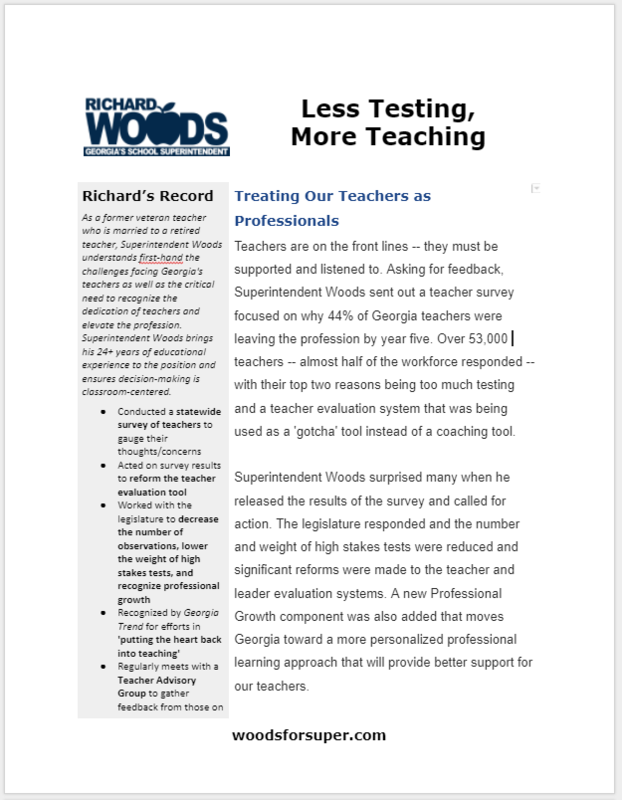 Asking for feedback, Superintendent Woods sent out a teacher survey focused on why 44% of Georgia teachers were leaving the profession by year five. Over 53,000 teachers -- almost half of the workforce responded -- with their top two reasons being too much testing and a teacher evaluation system that was being used as a 'gotcha' tool instead of a coaching tool. 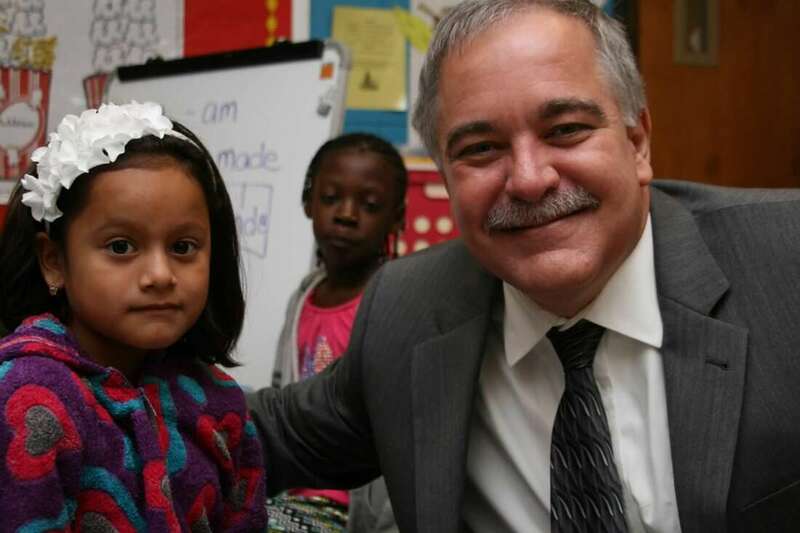 ​Superintendent Woods surprised many when he released the results of the survey and called for action. The legislature responded and the number and weight of high stakes tests were reduced and significant reforms were made to the teacher and leader evaluation systems. A new Professional Growth component was also added that moves Georgia toward a more personalized professional learning approach that will provide better support for our teachers. ​Throughout the legislative session, Superintendent Woods worked with the bill's sponsor, education groups, and Georgia's Teachers of the Year to get the bill passed. 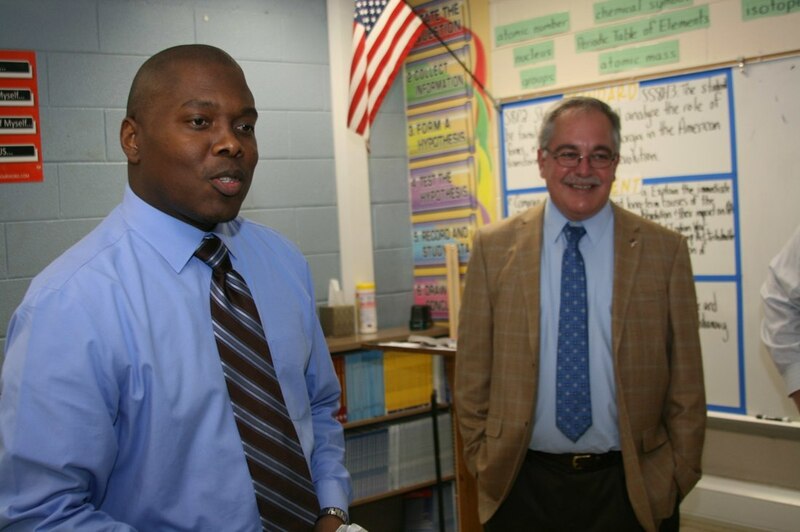 It was signed into law by Governor Deal during Teacher Appreciation Week. In the area of testing, Woods has pushed for additional innovation and flexibility -- sending a letter to Secretary DeVos requesting additional flexibility, establishing a task force to conduct a comprehensive review of the Milestones testing system, and creating an Assessment Innovation Fund to support districts in reducing testing and developing more dynamic, effective ways to assess student learning. 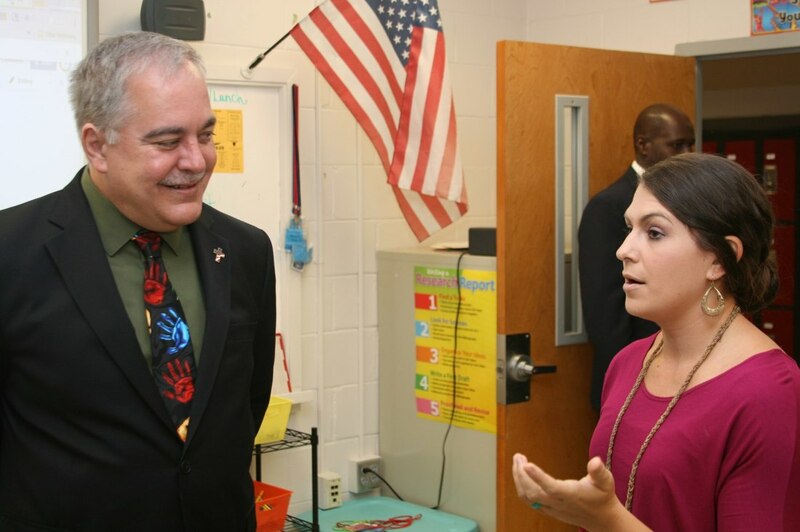 As Georgia's School Superintendent, Woods is committing the Georgia Department of Education to continually focus on efforts to personalize professional learning for teachers so that training is tailored around their needs and delivered in a way that is most effective for them while still being conducive for student achievement. 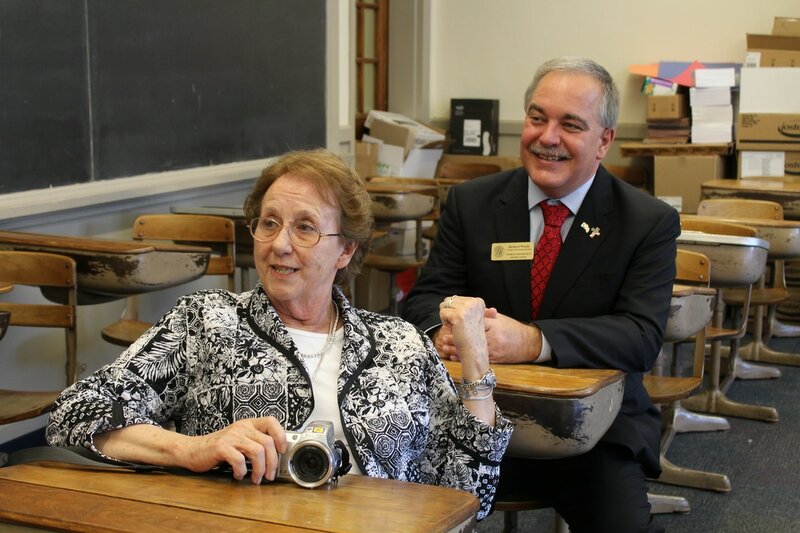 As a former veteran teacher who is married to a retired teacher, Superintendent Woods understands first-hand the challenges facing Georgia's teachers as well as the critical need to recognize the dedication of teachers and elevate the profession. Superintendent Woods brings his 24+ years of educational experience to the position and ensures decision-making is classroom-centered.